Dave Timonen, as the Germans, attacks into Poland in 1939. Doug Gries, as the Poles, defends a small village surrounded by grain fields. Doug hasn't played a game in quite a while but, much like riding a bicycle, it all comes back to him very quickly. The fact that both OB's were infantry only surely helped. This was recorded during a PAASL meeting and there is a bit of annoying background noise until about 40 minutes in. This episode has been recorded with every move covered in detail, so it is well worth the effort of listening. There is a nice discussion of tactics at the end. So break out your boards, focus in on the main voices, and enjoy. The Germans pass by the trenches. 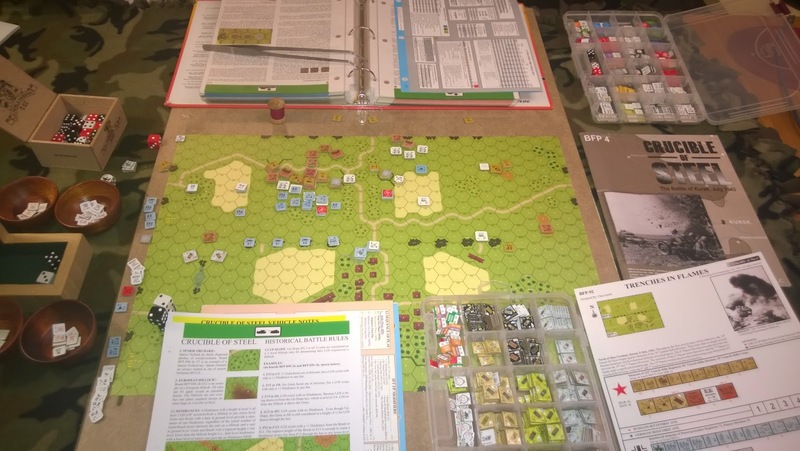 Tonight we have the pleasure of speaking with George Kelln, the man behind Lone Canuck Publishing, makers of fine scenarios, campaign games and maps for Advanced Squad Leader. If you've ever wondered how a lone -- but not lowly -- Canuck can contribute so much to the greatest game in the world, have a listen. Then order some stuff! 1:00 No Banter, We Promise! Episode 142: What, No Sump Pump Rules? There are signs, you know, that you've been playing too much ASL -- one of which is reaching for The Rule Book whenever a question of any kind comes up. Well, we can save you time by telling you now, there are no Sump Pump rules. But, there are rules covering Ice, Water Obstacles, and Buildings. And we cover 'em here. We also get caught up on some listener mail and talk a bit about What We've Been Playing Lately. You may not learn how to keep your basement dry, but hey, this show is about Advanced Squad Leader!